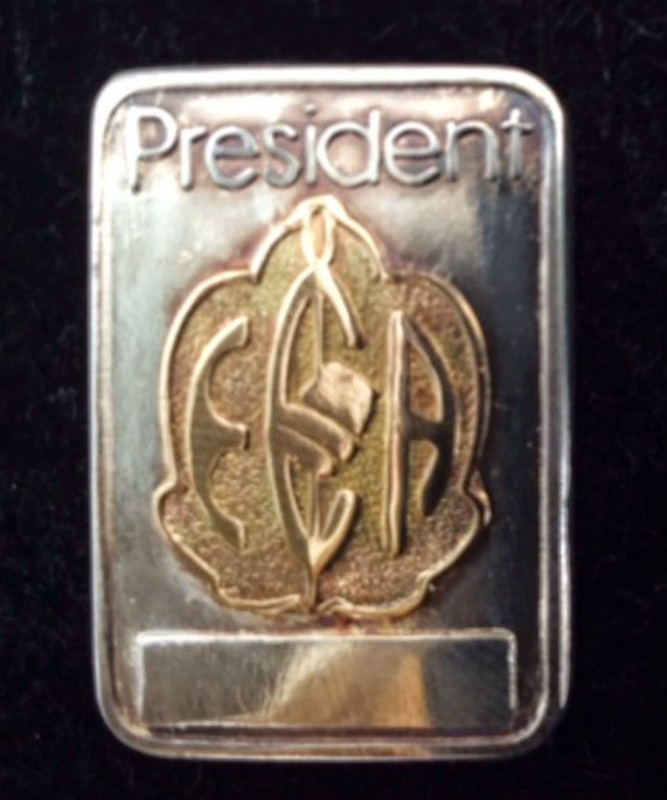 Embroiderers' Association of Canada, Inc.: President's Job - part of the series "Board Positions - What do they do?" President's Job - part of the series "Board Positions - What do they do?" We have been asked to briefly describe our job descriptions on the EAC Board. I thought it might be interesting to tell you a bit about my role as President of EAC. The President is the "Chief Executive Officer" of our organization and is also keeper of the official seal. (Did you know we have an official seal?) Traditionally this position requires a six-year time commitment: two years as Vice-President during which time I learned all about the administration of EAC and assisted the President and the Board with a number of interesting projects; two years as President during which I am chairing the Board and overseeing the many functions of the organization; and, finally, two-years as Past President; Joyce has described these duties in her blog. As Vice-President, I became the "Seminar Liaison" for two Seminars, Calgary’s Stampeding Stitches in 2015 and Ontario’s “Inspiring Stitches” in 2016. With timelines being what they are, this role continues throughout both the Vice-Presidency and the Presidency. The job description of the President, found in the Bylaws on the EAC website, provides a detailed overview of this position and what it entails. However, now that I have been serving in the role for almost a year, I have discovered that there is so much more to this job than what you read there. For example, I have had many opportunities to meet EAC/Guild members from all across Canada, both in person and on-line. I have heard great ideas and am in a position to help work them into the future plans of our organization. I have enjoyed the opportunity to travel to many points in Canada for meetings and Seminars. I am able to contribute to plans that benefit all of our members and move the organization forward. I get to represent EAC on many fronts as the positive and dynamic organization that we are. And, finally, I get to design and stitch – and talk about it endlessly! – with a wide variety of colleagues and friends who challenge and teach me to expand and perfect my knowledge of our wonderful art, and to share my love of embroidery with them. My role as President of EAC is proving to be a wonderful opportunity to "make a difference", not only to the Association and its members, but in my life. I am enjoying my "work", learning so much, and having fun! How is your band sampler coming along? Celtic Colours – A Feast for the Senses!